Researchers at the University of Liverpool have made a discovery that could improve the conductivity of a type of glass coating which is used on items such as touch screens, solar cells and energy efficient windows. 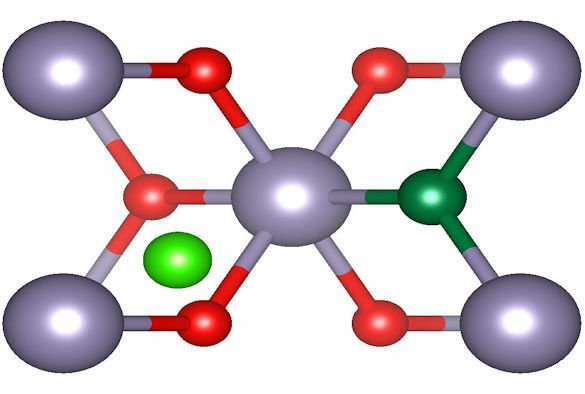 In a paper published in the journal Advanced Functional Materials, physicists identify the factor that has been limiting the conductivity of fluorine doped tin dioxide, which should be highly conductive because fluorine atoms substituted on oxygen lattice sites are each expected to give an additional free electron for conduction. The research involved physicists from the University and the Surrey Ion Beam Centre in collaboration with computational chemists at University College London and global glass manufacturer, NSG Group and is funded by an Engineering and Physical Sciences Research Council grant and the EPSRC's Centre for Doctoral Training in New and Sustainable Photovoltaics.